"His Story Will Have You Singing, Laughing, Crying, Cheering And Stomping Your Feet." Written and produced in 1978, the Buddy Holly Story is a biographical film that features Buddy Holly played by Gary Busey. Other famous actors who play in this movie are Don Stroud, Conrad Janis, William Jordan, Maria Richwine, and Charles Martin Smith. The opening of the movie shows what Buddy Holly's life was like when he was younger and living in Lubbock, Texas. The first part of the feature explains exactly how Buddy Holly met his Jesse Charles, Rob Simmons, and all of the other people who would eventually band together to form The Crickets. This movie shows then entire journey from the beginning of the formation of The Crickets, to the time when Rob Turner, the once producer of the band, changes his mind and allows the band to create music the way that they want. Other features in this movie are the meeting and eventual marriage of Buddy Holly and Maria Elena Santiago, as well as the birth of their child. 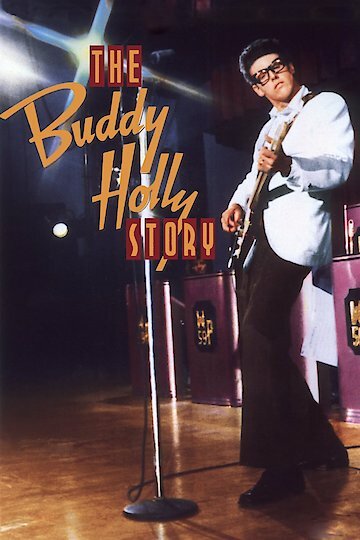 More aspects of the life of Buddy Holly that are featured in this film are when the band visits the Harlem Theater known as the Apollo Theater and are able to play despite the owner Sol thinking they were a black music band. A part of the film that highlights the troubles of being part of a band where the leader singer takes most of the attention from the fans occurs when Ray Bob and Jesse decide that they want to break apart from the band and go their own way. Although Buddy Holly is saddened at this in the film he continues on to play at a concert in Clear Lake, Iowa. This is the time in the life of Buddy Holly when he played with people such as The Big Bopper, Richie Valens, and other famous artists. However, the movie ends after the final song known as 'Not Fade Away' is played and Buddy Holly gets on the plane to visit the next place on tour. The Buddy Holly Story is currently available to watch and stream, buy on demand at Amazon, Vudu, Google Play, FandangoNow, iTunes, YouTube VOD online.